Note: Use this image to help you "HOP" around. The Advent Calendar has a link to each day of the month, however, just like a real Advent Calendar, the posts do not "unlock" until 9pm EST the night before the calendar date. I hope the you have enjoyed all of the fun so far! 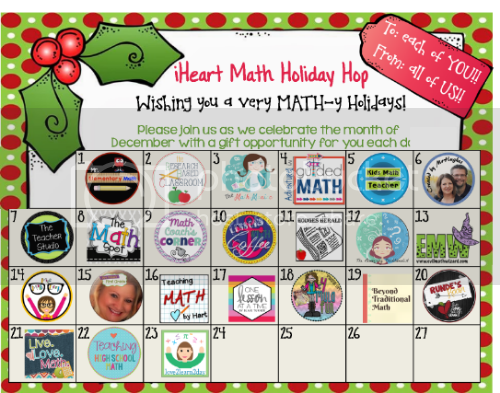 I am thrilled to be linking up with some of my favorite math bloggers for a month long holiday blog hop. 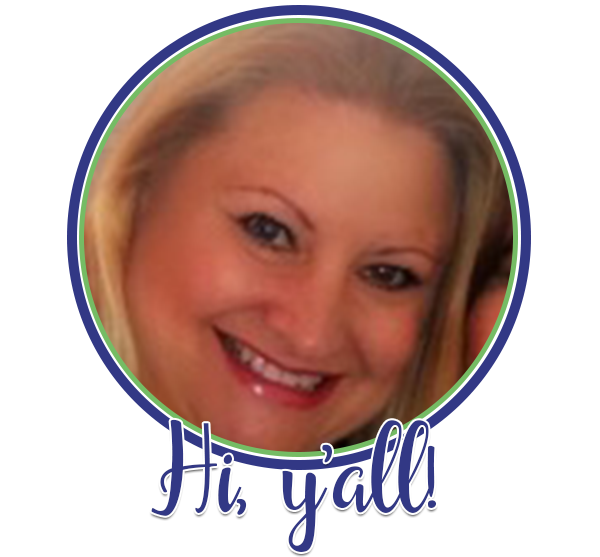 I am excited because each day you may access a different blogger with exclusive holiday tips and freebies. Be sure to tune in everyday to read each blog post! You may also click on the calendar above to be directed to any of the other blogs. December 1 - 14 have been posted, so check back to view any that you may have missed! 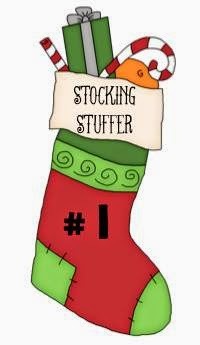 STOCKING STUFFER #1 - A Giving Back Idea: Change the Conversation! Your students are likely talking daily about what they want to GET for Christmas. When students talk about what they want to get, change the conversation. Instead of talking about what they want to get, ask, "What do you want to give?" It is a simple switch, but a significant one in teaching about others' wants and needs as well. Work with your class to come up with a class project to give back this season. Some of the projects that we have done are a toy collection with the Toys for Tots organization and collecting food for our local food bank. Kids will also typically have a list of THINGS on their list of what to get for the holidays. You can change this conversation as well. Ask your students what they can give to someone who does not come from a store. My class has made Parent Appreciation Folders. Students collect significant memories to give to their parents during the holidays. We use writing prompts like: "My favorite family time memory is...", "The thing I love the most about my family is..." and "The best thing my family taught me was..." Be aware that many of your students may not have traditional two-parent family situations. Use inclusive language and make sure that you define family as bigger than just the people with whom your students live. I like to tie my math instruction thematically to other things that are going on in my classroom. This is fun during the holidays. 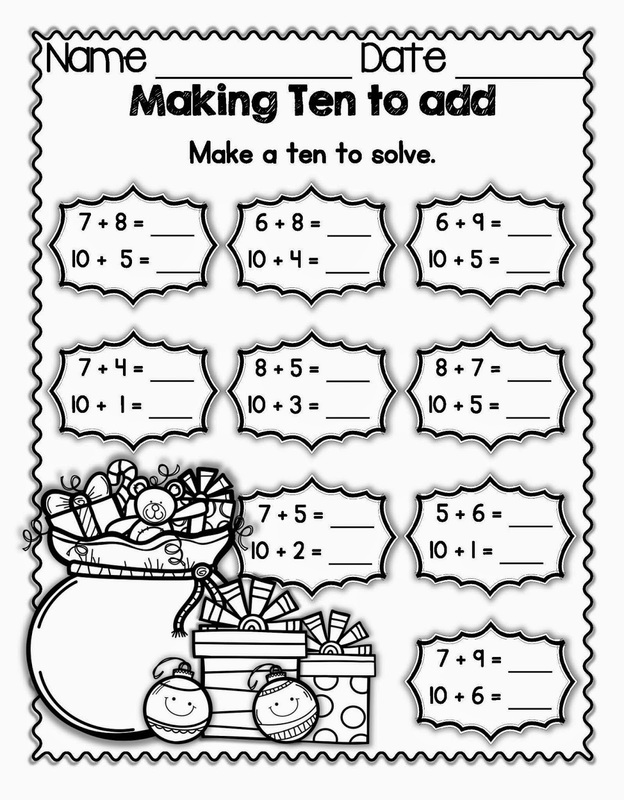 Especially during the holiday season, it keeps my students engaged if they can look forward to some coloring when they are finished with the actual math practice. (I teach first grade!) 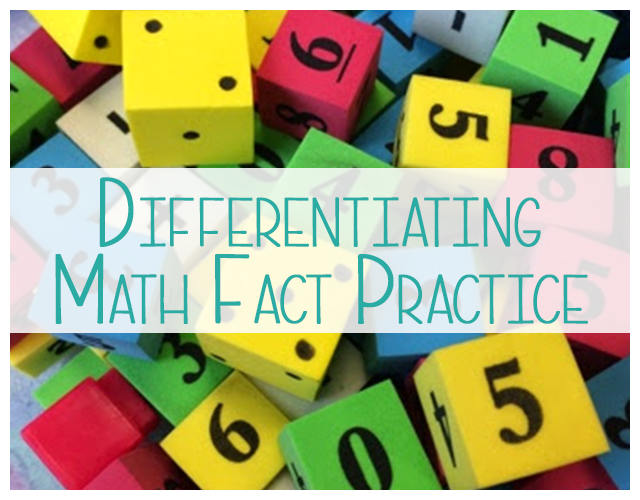 We have been practicing different math strategies from the 1.OA.6 standard of the Common Core Math Curriculum (TEKS 1.3.D). 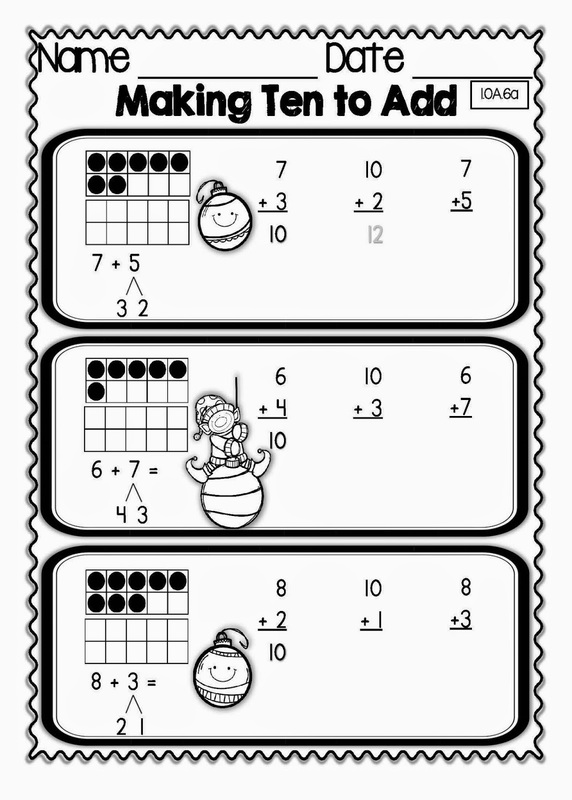 My students love to color these CreativeClips graphics on many of my math practice pages! 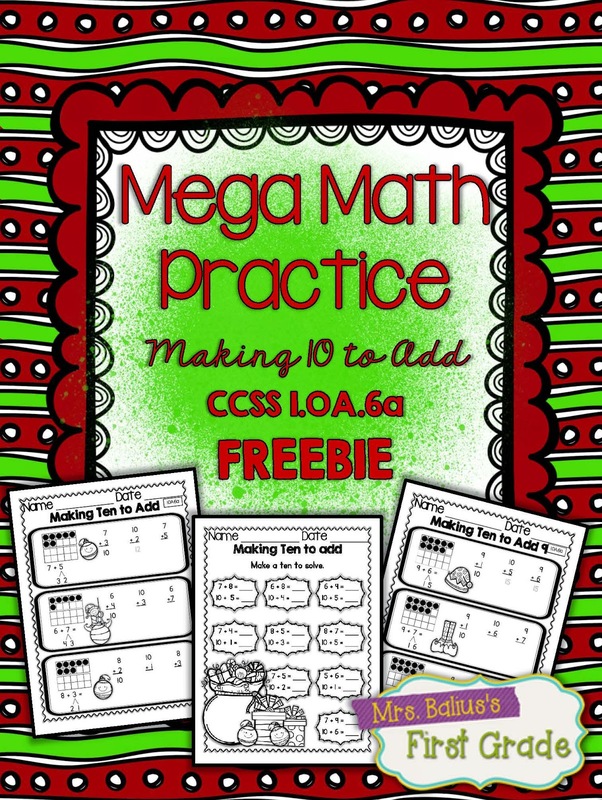 My gift to you is my three page "Making Ten to Add" FREEBIE Mega Math Practice unit. 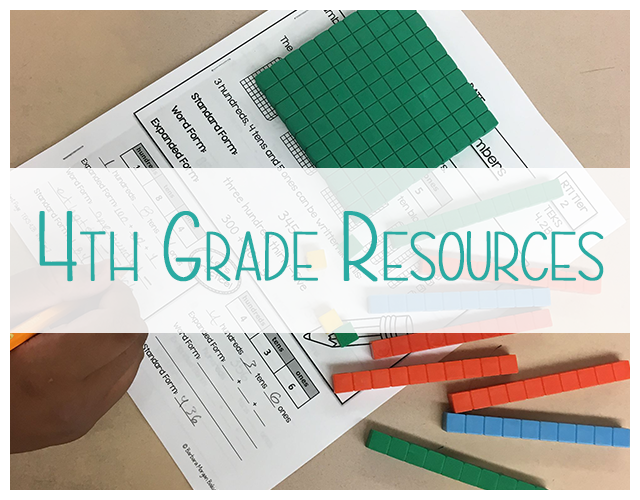 I hope that your students love this fun math practice during the holiday season! Thank you for linking up with me today. 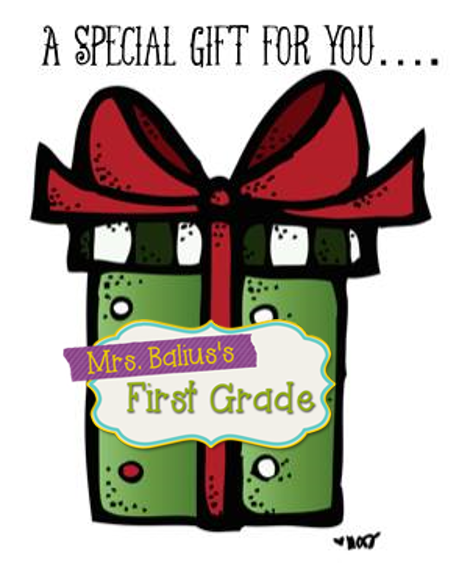 Be sure to tune in every day during the month of December to read each blog post. By clicking on the header above, you will return to any of the previous posts. 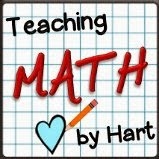 Tomorrow Teaching Math by Heart will provide you with wonderful holiday tips and a special gift. 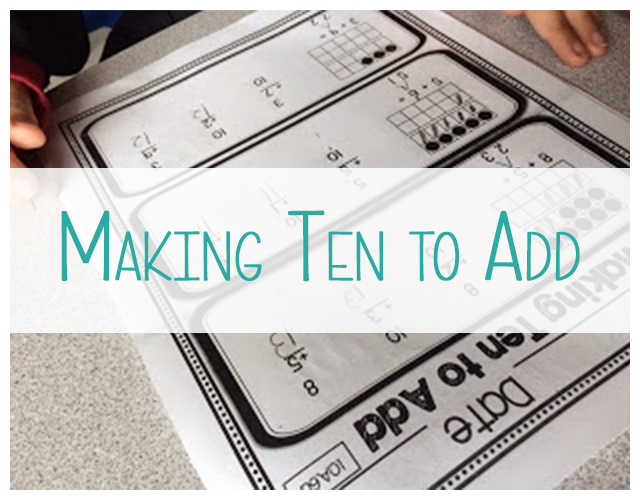 I can never have enough making 10 activities! Thanks!